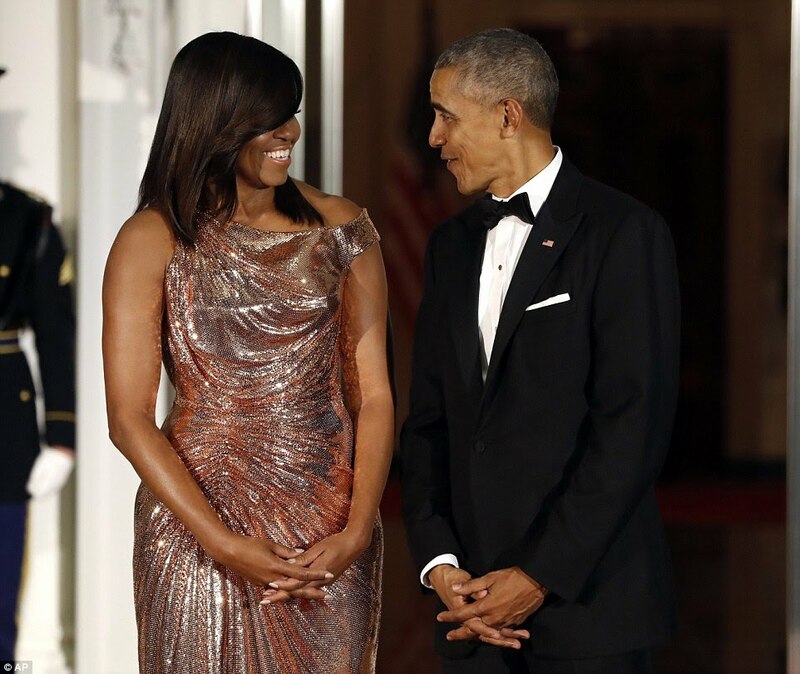 Barack Obama had promised that they had ‘saved the best for last.’ And the first lady lived up to that promise with her stunning custom-made Atelier Versace dress. 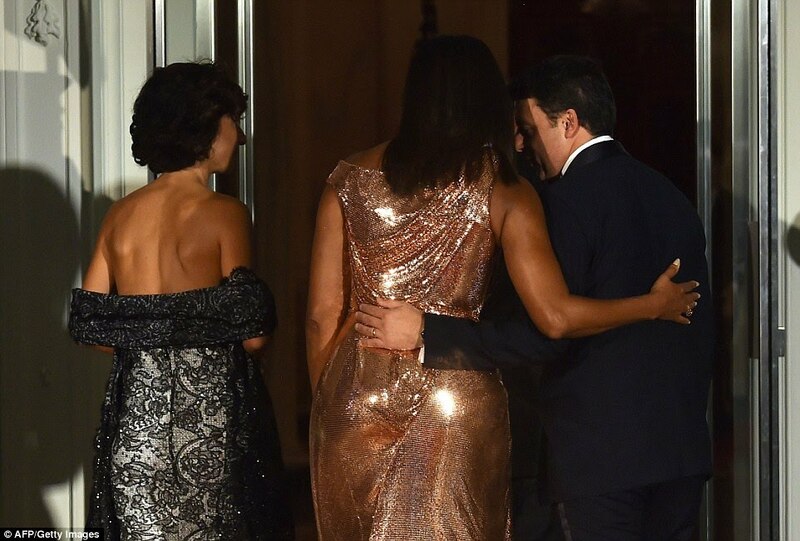 She showed off her signature toned arms and completed the glamorous look with poker-straight locks. 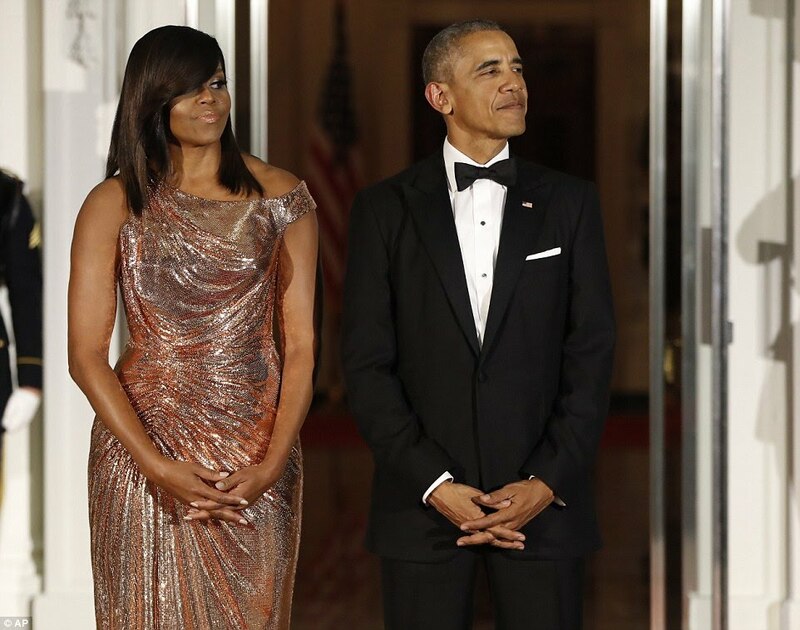 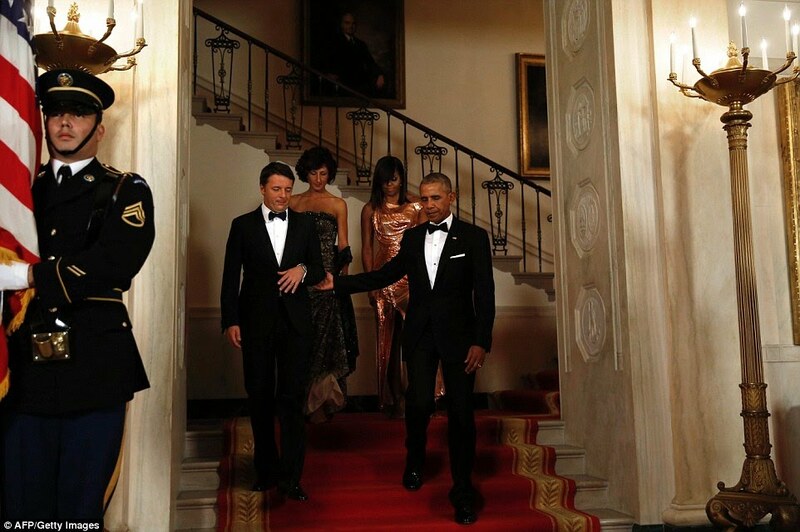 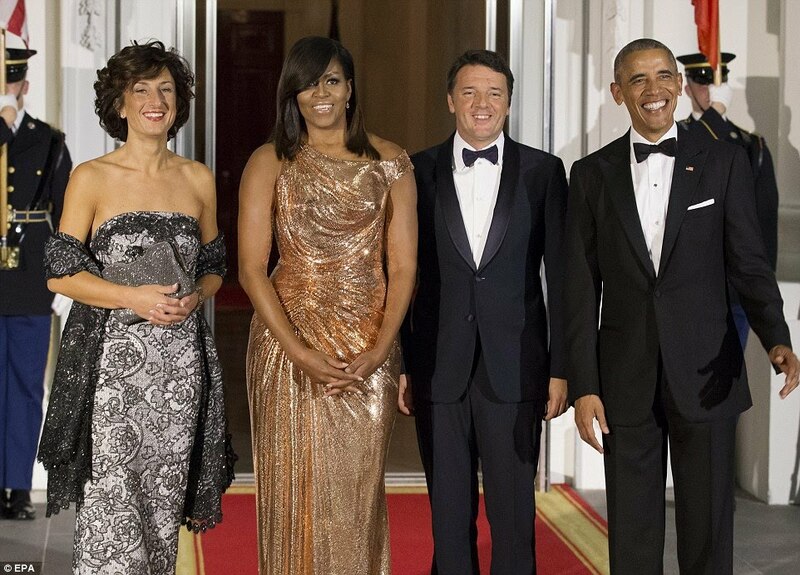 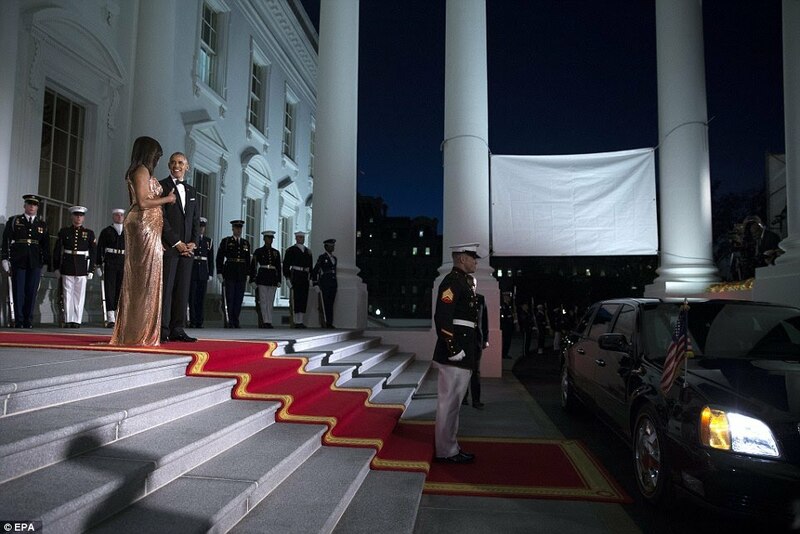 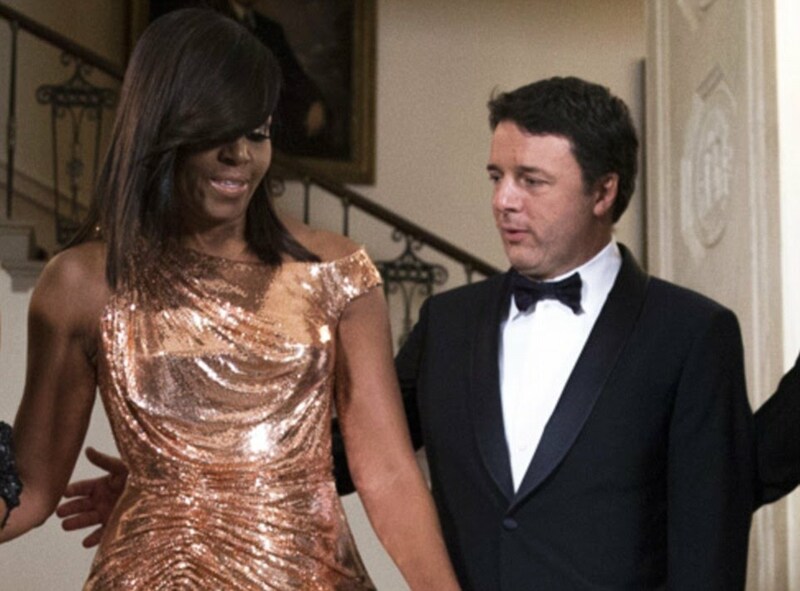 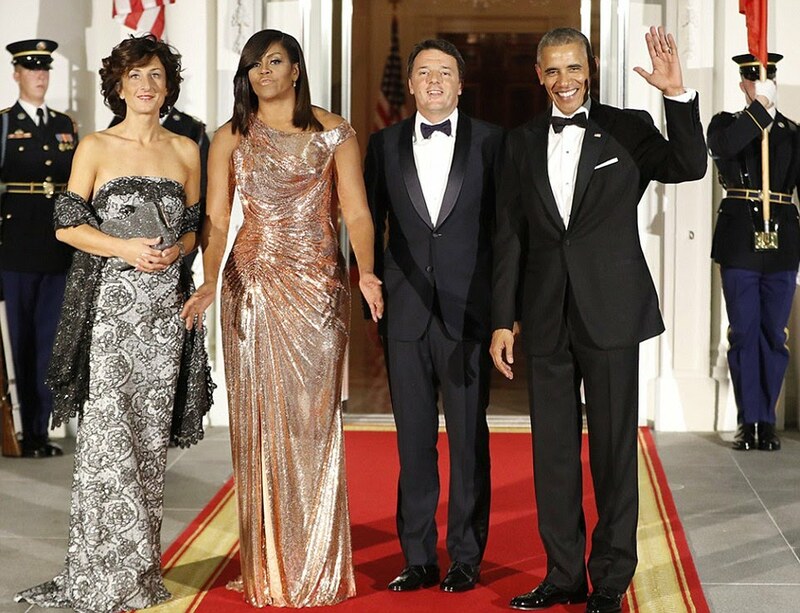 The Obamas, greeted Renzi and his wife Agnese Landini – who also sparkled in a floor length, silver and gray gown – on the North Portico before accompanying them inside the White House for the final state dinner. 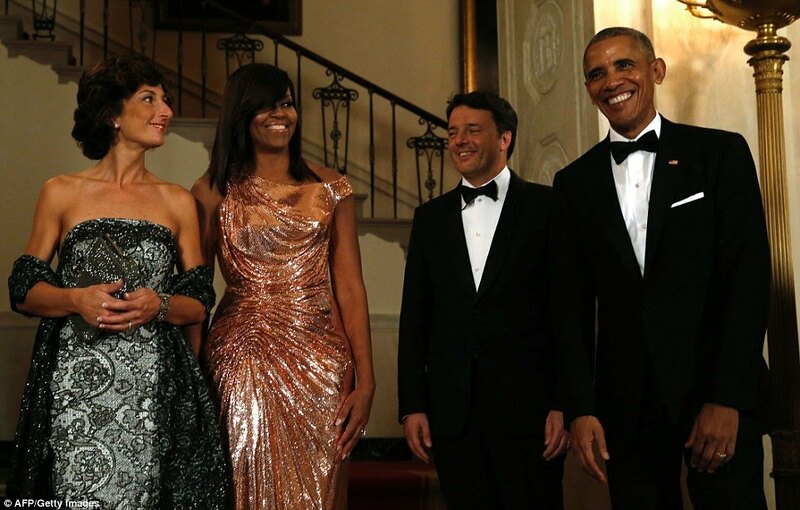 The final state dinner of Barack Obama’s presidency featured a mix of guests from the worlds of fashion, politics, media, finance and the arts. 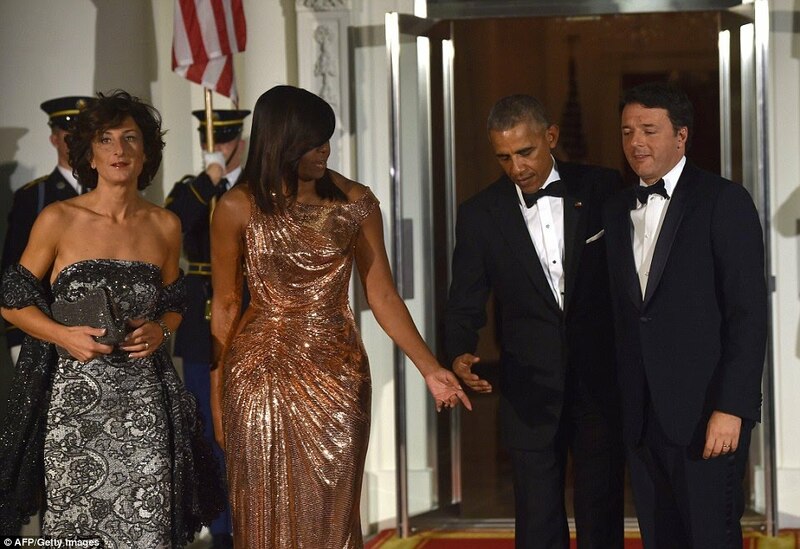 The president paid tribute to America’s relationship with Italy during the dinner, offering a toast to the ‘enduring alliance’ between the two countries. 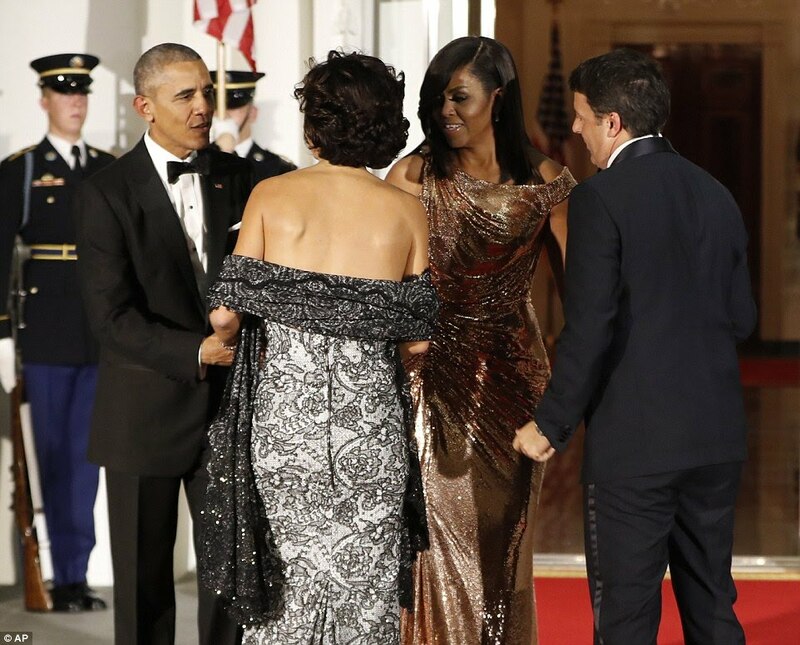 Obama said that American democracy has been graced by a touch of Italy, noting that both the Lincoln Memorial and the interior of the U.S. Capitol dome were done by Italians.